BookMarketingBuzzBlog: All New 2019 Book Publicity & Marketing Toolkit! Here we are, with over 3,000 posts on my blog. At the seven-and-a-half-year-point of this award-winning blog, I proudly reached my 1.60 millionth click. Below are the best blog posts of the year. My sincerest goal is for authors to become better book promoters and for all books to get the media exposure they deserve. 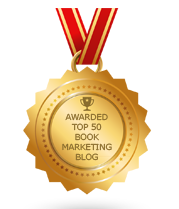 This blog is a labor of love and I am happy to say it has been recognized by so many people as a leading source of great book marketing and publicity tips, strategies, and resources. Enjoy, and please give back by sharing this with others. How Can Authors Blog With Real Impact? This Is How You Get Book Reviews! Great Book – Or Great Marketing? We are the Info Prizo Lab Solution manufacturer, and we are situated in fairfax, America. We believe in quality chemicals, and we meet the expectations of our clients, with a thirty-day return policy on a lifetime quality guarantee. Show us our competition, and we show you what quality is our Motto has always been "there is no substitute for quality.